As news about the side effects of medications continues to spread, more and more people are turning to natural remedies for minor ailments. This is true even for minor ailments treated with trusted medicines, like coughing. If you've been anxious to try something more natural to treat your cough, here's what you need to know. First of all, coughing is a symptom of some other problem, not a disease by itself. Most cough remedies try to either suppress the cough or make the cough more productive. Although dextromethorphan has been the most effective remedy to date, people are taking a fresh, new look at the benefits of honey. The article below includes a recipe for a honey cough mixture you can try yourself. 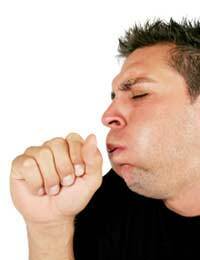 Coughing is a vital bodily function that is a symptom of disease or some other condition. Coughs are produced by an involuntary reflex when the body senses some sort of obstruction to your airway. As air is forcefully expelled from the lungs, the airway is cleared. So in many cases you may not necessarily want to get rid of your cough. It actually has a therapeutic function in many diseases and allergic reactions. However, you may want to lessen the severity and frequency of your cough so that you can rest from time to time or be able to sleep at night. Most cough remedies try to accomplish one or both of the following: either they seek to suppress the cough reflex or they try to make the cough more productive by loosening phlegm. Dextromethorphan has been considered the most effective over the counter ingredient in cough mixtures since it replaced codeine in 1958. It actually acts directly on the brain to raise the threshold for the coughing reflex. However, for those who desire a more natural solution to the problem of coughing, honey is quickly gaining respect as a way to comfort and suppress your cough. In fact, honey outperformed dextromethorphan cough mixtures in a recent study. Making your own honey-based cough mixture can be easily accomplished at home. Combine the lemon juice and honey in a medium-sized bowl. Then slowly stir in the warm water. Transfer the mixture into a screw-top jar and store it in the refrigerator. About every three hours, take 1 or 2 tablespoons. This simply-made home remedy should provide an excellent way to see how well honey works on your cough. Since coughing is usually a symptom of some other problem, you should always be aware of the underlying condition and the type of cough it is producing. Coughing is often part of the healing process, so you don't want to completely eliminate it. However, when you need a break, try the honey mixture above. Chances are you'll sleep better, not only because your cough has subsided, but also because you can feel good about all the money you're saving.